Note: A brilliant picture of a cut-away view of the Princess Locomotive. A feature of this picture is the inside view of the Hornby Synchrosmoke unit as in 1973! 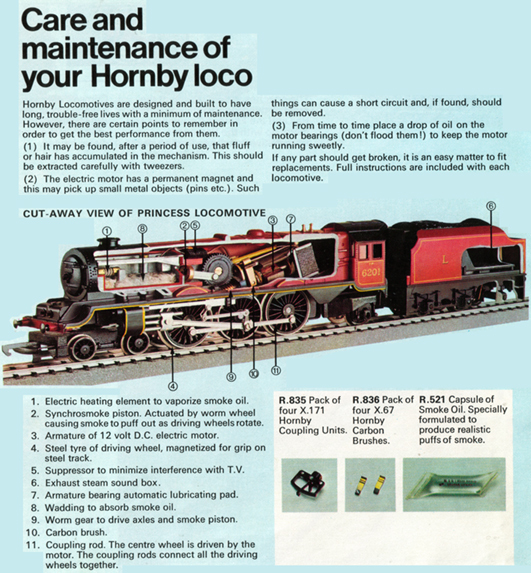 The original picture can be found on Page 19 of the 1973 Hornby Railways catalogue.